Our Early Childhood Services programs strive to foster healthy cognitive, emotional and social development for children birth through age five and their families. Under the direction of the ECMHC Program Manager, the Early Childhood Mental Health Consultant/Clinician provides consultation to childcare centers and providers throughout San Mateo County and northern Santa Clara County to enhance the quality of childcare services and the accessibility to these services, especially for children with special needs and low-income families, as well as dyadic therapy services to children and parents. This position includes work as both a mental health consultant and a mental health clinician working with children birth through five, their families, and their care providers. The Early Childhood Mental Health Consultant/Clinician will be part of a collaborative community-based team of early childhood providers. This specific position requires that services are provided in the Daly City/South San Francisco area. A successful candidate for this position will have proven history working with young children and families, strong capacity for self-reflection, and ability to communicate a sense of passion and commitment to supporting the social-emotional development young children and the deepening the understanding of their care providers. Actively participates in a comprehensive training program that includes individual supervision, administrative supervision and involvement. Reads, studies and applies materials presented in the didactic seminar on mental health consultation and child development. Prepares process recordings and presents consultation work in clinical case conferences in order to understand appropriate interventions in the consultation context. Regularly attends all seminars, case conferences and supervisory meetings. May assist with staff supervision based on qualifications and experience. Observes the childcare setting to become familiar with the program offered to children. Meets regularly with the childcare staff and the director to address programmatic concerns. Provides consultation to center staff on programmatic issues that affect the quality of care provided to the children, as requested. Discusses effective mechanisms of working with parents, as requested. Assists staff to build and maintain productive collegial relationships with one another. Collaborates with providers and partners (individuals and systems) as needed. Provides case-centered consultation to caregivers with questions or concerns about children at the center. Observes children in the childcare setting to assess functioning, relationships with caregivers and other children, and “fit” in the program. Meets on-site or at home with families to complete assessments, provide developmental guidance and referrals, including linkage to clinical services. Meets regularly with childcare staff individually and in groups to discuss individual children. Provides weekly therapy home visits to families. Performs telephone intake for newly referred clients. Assesses and diagnoses infants/children (or mothers/primary caregivers when working with families during the prenatal period), develops and implements treatment plans, maintains timely progress notes for each case. Coordinates with Community Worker to provide case management, advocacy and referrals based on the needs of each family. Coordinates treatment with other providers who are involved with each family. Collaborates with team members to implement outreach efforts aimed at engaging families and building relationships with community partners. Maintains up to date records, charting regularly and accurately. Participates in program evaluation efforts. Prepares demographic and service data on all site activities. Represents the program in the community, as requested. Complies with all standards of performance. Masters degree in social work or psychology and license or license eligible required. A licensed candidate is preferred. Bilingual, bicultural Spanish Speaking strongly preferred. This position is a field position, and applicants must be comfortable and willing to drive to various points throughout San Mateo County. Knowledge of early development and work experience in early childhood education and/or group settings for children. Experience with group dynamics and therapeutic interventions with adults (individuals and groups). Willingness to engage in self-reflection and participate fully in reflective supervision. 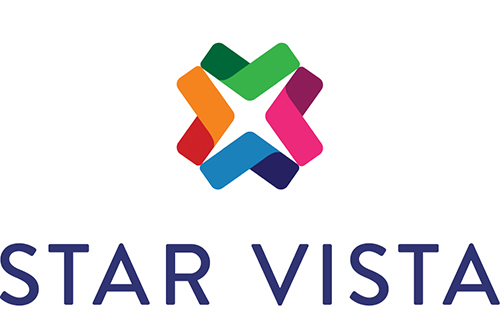 Please email a resume and thoughtful cover letter to sarah.dobkin@star-vista.org.